‘flattery will get you everywhere’…I have just been schmoozed by a salesperson at Specsavers! 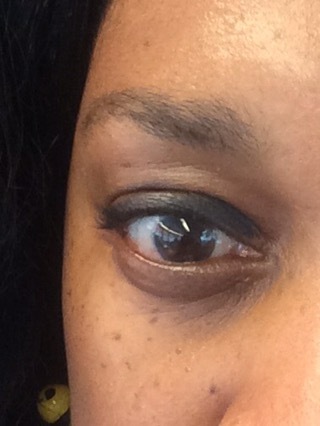 Asking if I wear contact lenses…cos apparently my eyes are such a gorgeous colour with a touch of blue and hazel!! I sat there lapping it up like a Cheshire Cat (knowing full well that my eyes are no such colour)…but I did spend a whole hour (unplanned…schmoozed into) in specsavers submitting myself to every single eye test! Kudos to the silver tongued salesperson…I’m buying a new pair of glasses that I really don’t need. Hook, line and sinker!